The Year My Parents Went on Vacation is yet another in a long line of coming-of-age tales set against the backdrop of political turmoil. And while there’s nothing seriously objectionable about Cao Hamburger’s film, there’s also little to distinguish it from the pack, save for a pleasingly light directorial touch. In 1970 Brazil, young Mauro (Michel Joelsas) is left at his grandfather’s apartment doorstep by his parents, revolutionaries driven into hiding by the country’s reigning dictatorship. 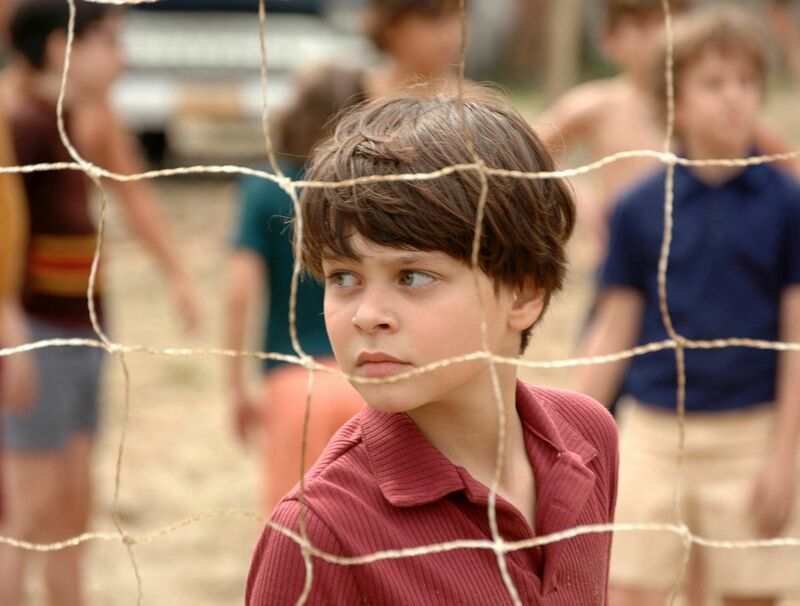 Mauro’s dad promises to be back in time for the World Cup, when Brazil will be going for its third straight championship, but that long wait becomes almost interminable when the boy discovers that his grandfather has recently died. Stranded in a strange neighborhood, he’s taken in by Grandpa’s neighbor Shlomo (Germano Haiut), an elderly Jew who introduces him to temple and eating fish for breakfast, and whose disinterest in caring for Mauro is shot down by the town rabbi, who tells Shlomo that the boy’s arrival is God’s doing. Shortly thereafter, The Year My Parents Went on Vacation assumes a rather predictable formula, as Mauro finds friendship with spunky Hanna (Daniela Piepszyk), experiences awakening sexual urges while peeping through a hole in a dress shop’s changing room wall, and develops gradual affection for his cranky caretaker. Hamburger effectively employs conflicting juxtapositions, such as when Mauro’s joyful dancing with Hanna is intercut with images of military police on horseback rounding up would-be communist subversives, and his dedication to conveying his themes via dramatic plotting rather than simplistic exposition—a decision aided by generally strong performances from his cast—gives the proceedings a delicate maturity. Unfortunately, the director’s understatement is married to a story that’s frustratingly unexceptional. Mauro’s time with Shlomo, Hanna, and the rest of the community is meant to be life changing. Yet the personal and political events he lives through—playing soccer, palling around with the neighborhood kids, eagerly awaiting his parents’ return, helping shelter an injured socialist (Caio Blat) from the violent authorities—are ultimately so ho-hum and so mildly depicted that the story winds up failing to generate any poignant, evocative resonance.